Both Houses of Parliament joined External Affairs Minister Sushma Swaraj in condemning the “inhuman” treatment meted out by Pakistan to Kulbhushan Jadhav’s mother Avanti and wife Chetna. NEW DELHI: Both Houses of Parliament joined External Affairs Minister Sushma Swaraj in condemning the “inhuman” treatment meted out by Pakistan to Kulbhushan Jadhav’s mother Avanti and wife Chetna. 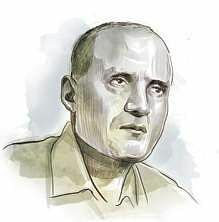 Jadhav has been sentenced to death on allegations of espionage by Pakistan. Coming down heavily on Pakistan, Swaraj said the meeting could have been a way forward, but Islamabad turned it into an occasion to further propaganda. Stating that she had spoken to Jadhav’s mother before making the statement in Parliament, Swaraj said Pakistan resorted to human rights violations, which should be condemned strongly. “Pakistan was projecting the meeting as a humanitarian gesture, but the truth is that there was no humanity left in the episode. Jadhav’s wife always wears a sari, but Pakistani officials made her wear a salwar-kurta. “They forced removal of mangalsutras and bindis from both women. Jadhav spotted the missing mangalsutra, and the first thing he asked his mother was about his father. When Jadhav saw similar conditions of his wife (the missing mangalsutra), he probably realised the issue,” Swaraj added. Chetna’s shoes were removed before the meeting and were not returned despite repeated requests.